Best known for a handful of Disney films in the 1960s, the life of British actor David Tomlinson might not seem like the most obvious subject for a one-man show. James Kettle’s play is appealingly whimsical though. The Life I Lead deploys a familiar device, placing Tomlinson in a heavenly waiting room and allowing the actor an opportunity to potter through the events that shaped his life and career. 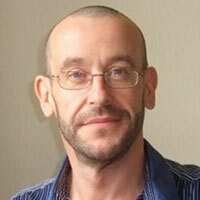 Kettle is predominantly a comedy writer for film, television and radio, and his play is neatly structured. It balances laughs with flashes of tragedy and, by exploring Tomlinson’s eccentricities, exposes the awkward relationship that so many fathers have with their own sons. Tomlinson, whose most memorable role was as irritable dad Mr Banks in Disney’s Mary Poppins, had a difficult relationship with his own father, a man emotionally constricted by family secrets. As a result, Tomlinson worked hard at connecting with his own sons and retired from movies in order to spend more time with his family. He even invented a fake agent who turned down offers of work on a regular basis. 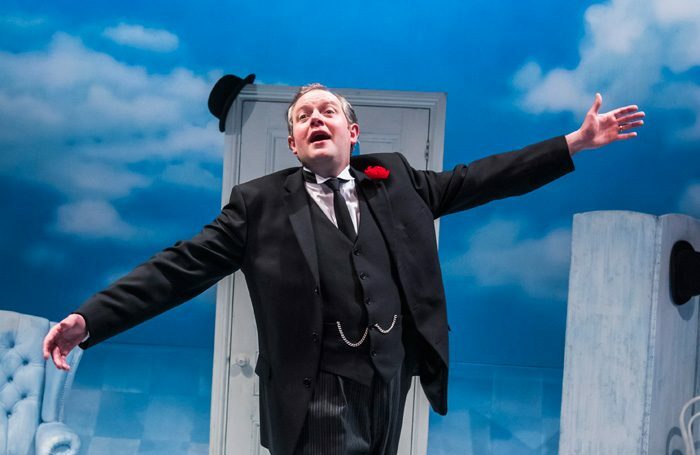 Miles Jupp is the making of Didi Hopkins and Selina Cadell’s production. He’s been perfectly cast. The Rev actor doesn’t bear much of a physical resemblance to Tomlinson, even with a fake moustache, but Jupp is an intuitive performer and he nails the easy-going, loveable temperament that characterised Tomlinson’s screen appearances. Kettle’s play is a nuanced piece of comedy writing, eloquent about fatherhood, and Jupp’s congenial performance brings real warmth to it.